The Macquarie Park / North Ryde / Homebush / Rhodes / Olympic Park region experienced solid deal flow throughout 2016. The biggest leasing deal was done direct by Goodman (the landowner) with no agent involvement (Fuji Xerox – 10,686sqm) while the second largest deal for the year was secured by JLL (Medtronic – 6,000sqm). As indicated in Property Daily’s first Market Talk edition for 2016, JLL finished the year up strong, recording the largest number of transactions over 4,000sqm (2). GJS also achieved an equal number of deals over 3,000sqm (2) and a higher amount of transactions over 1,000sqm (7). Overall, GJS came out in front with the largest number of leasing transactions in total – recording ten (10) deals throughout the precinct – the majority of which were between 1,000sqm-4,000sqm. JLL followed with a total of seven (7) leasing transactions. Knight Frank had a noteworthy year recording four (4) leasing deals within the office precinct, three (3) of which were over 1,000sqm. 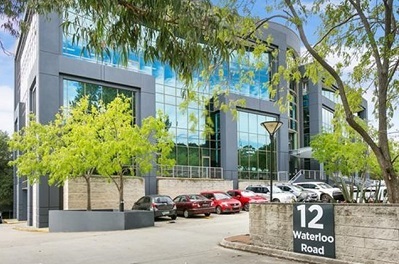 CBRE also managed to secure a leasing deal over 1,000sqm within Macquarie Park (Boehringer Ingheim – 1,200sqm). Savills tenant rep division was responsible for finalising the largest deal in the precinct (Medtronic – 6,000sqm) while 52% of occupiers chose not to appoint a tenant representative in the search for space in this market. As part of its subscription service, Property Daily provides market intelligence and analysis on the office leasing and fit-out markets across Australia and New Zealand. Click here for more information or to register your interest.